Enter a new college and you enter a new and unfamiliar environment. You fall into a new routine. Different classes, different friends, different societies, different books and many other different things. Fret not, we’re here to help you. 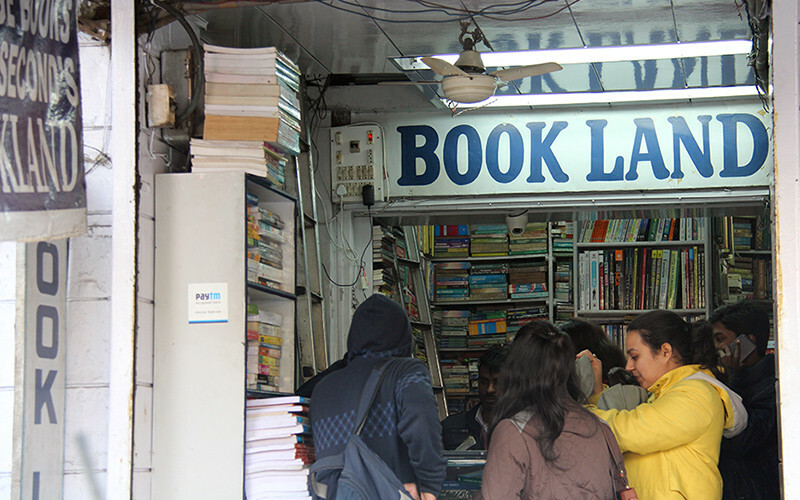 Here are some handpicked bookstores in Kamla Nagar that’ll sort out all your course material needs - scroll away! This is a small shop, situated just before Bhatia Store. You’d be surprised by how many books you can find here, judging by its smallish size. They also sell books for competitive exams like GMAT and ACT to name a few. It’s situated near Axis Bank. Aggarwal & Sons are also happy to accept Paytm payments. So both of these shops are located in the third alley from the main road from where you enter Kamla Nagar Market from the college campus side. You’ll see a shop named ‘Grover Sons Footwear’ - and that’s how you’ll know you’re in the right place! 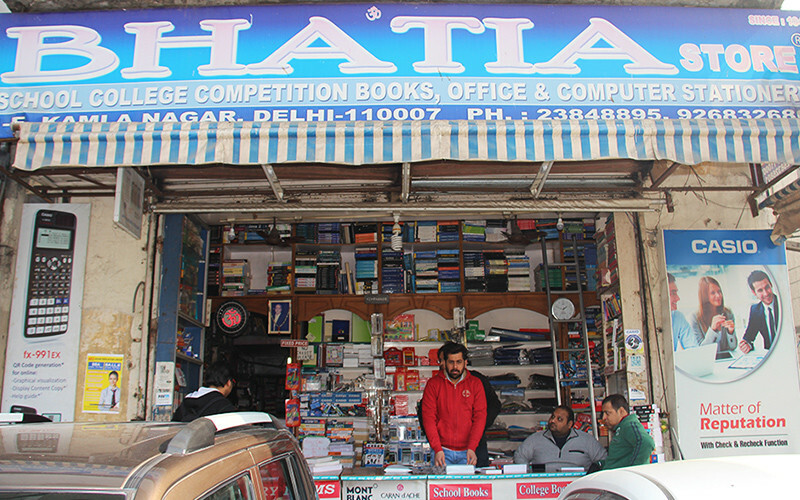 This shop falls on the Kamla Nagar main road and you can find scores of books relating to your courses as well as for competitive exams, including IAS. You’ll find all your AECC and General elective books here, without any problem. Unfortunately, they don’t provide any discounts and the people working here are a tad taciturn - but hey, if you find what you’re looking for, then that’s all that matters, isn’t it?! Hands down, this is the best shop for buying course-related books we could find! This shop is always filled with students and often, there’s no place to stand, so you have to stay outside and wait for your turn. They sell both new and second-hand books. The new books are always sold at a minimum discount of 20%, and beyond that their discount rates vary from book to book. You‘ll find your English course books as well as books by Gabriel Garcia Marquez which are beautifully displayed. The second-hand books are in very good condition here. You can return or exchange your books and also sell your old ones once you’re done with them, if they’re in a good enough condition. 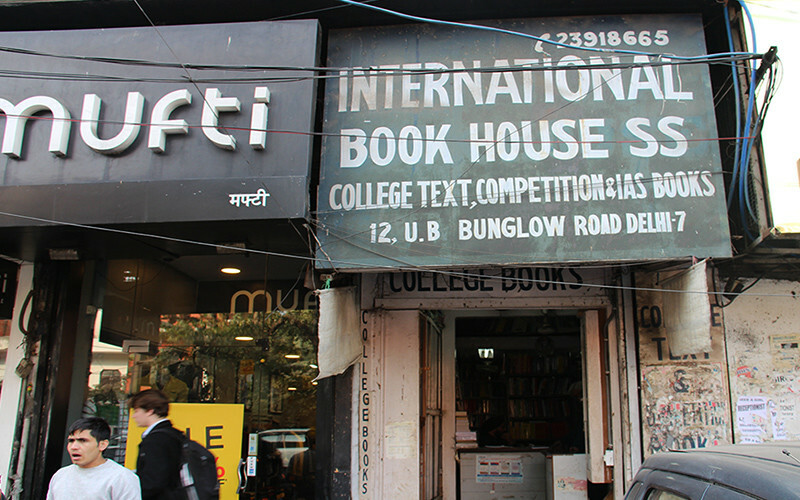 This shop is situated in the same lane as the International Book House SS. 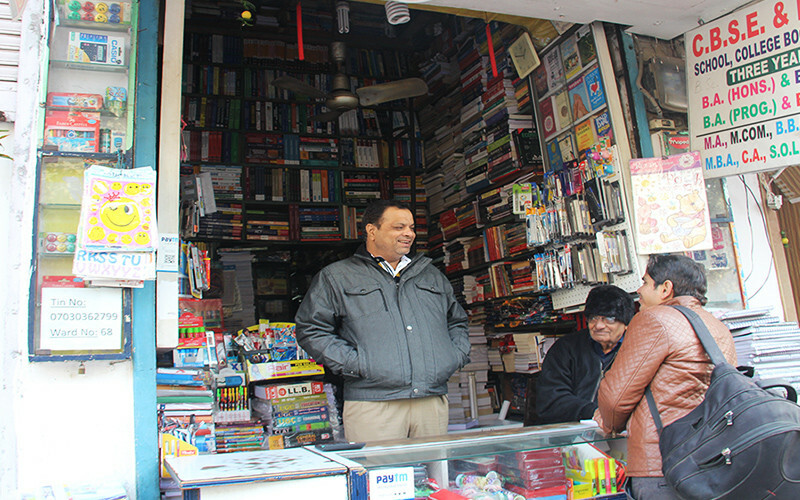 This shop is situated in one of the many alleyways of Kamla Nagar. It’s quite large and has all the course books as well as reference books you could need. They also keep books focussing on different competitive exams. They sell many colourful pens to make those colourful notes and also stock pens from high-end brands like Parker and others. They also sell items like calculators, which are allowed during exams in DU, and many more stationery items like folders, notebooks - et al. In an effort to go cashless, they also handily accept payments through Paytm. Go see! This place is situated opposite the Vallabhai Patel Postgraduate Medical Institute and is somewhat of a legend! Every person working or studying in and around DU’s North Campus has visited this place at least once and it’s been around for a very long time. They do the best quality photocopying and at very cheap prices too. They also keep reading materials of various courses like reading journals and notes, which, trust us, are absolute lifesavers during your semesters! All these shops open around 11 AM and are located in North Campus. So don’t wait till the last moment when your exams are just around the corner to buy your books; pick them out well in time at these choice book havens!